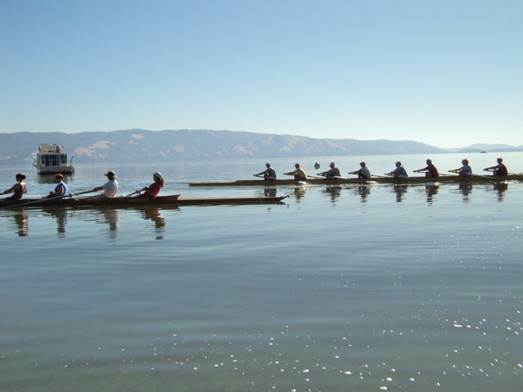 Clear Lake Scullers is a community based rowing club offering instruction and access to rowing, paddling, canoeing, kayaking and sailing equipment. Membership is open to the public with year round programs for adults and summer programs for youth. The goal of Clear Lake Scullers is to provide broad access to beautiful Clear Lake by exposing people to a wide variety of aquatic sports with emphasis on safety, competence and recreation, as well as teaching the skills necessary for athletes to train and race at the collegiate, masters, or national level. Adult membership is $100 for the summer, $200 for the full year, and includes sweep rowing camp and additional instruction in sculling and the use of a large array of club equipment. When: July 2-3 and July 5-6 2018 5:30 pm to 7:00 pm. $100, applied to membership. Youth/HighSchool paddling/rowing/water safety camp: July 2 thru July 6 8 am to noon.